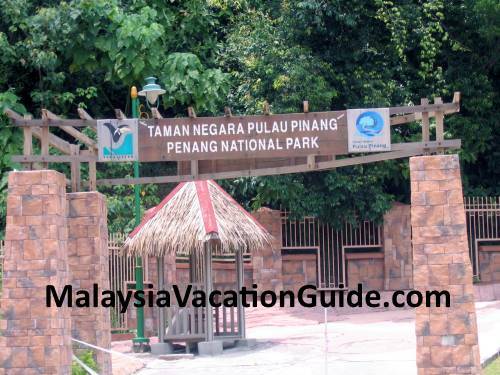 Head for Penang National Park for a change if you have not been here before. 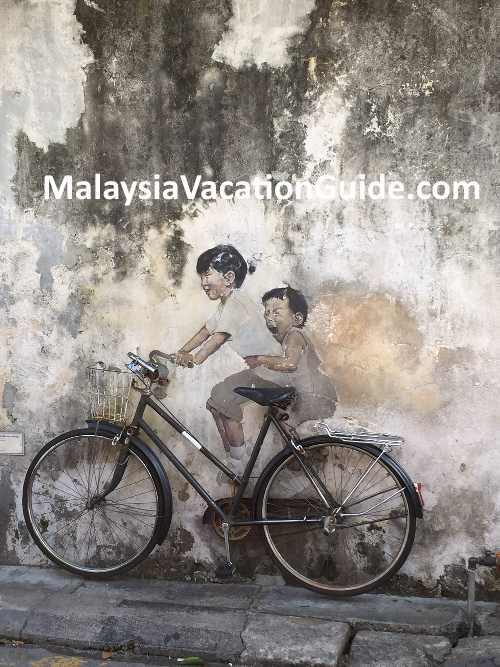 Although Penang is considered one of the most developed state in Malaysia, there are still places with natural attractions that you can go while you are here. If you have the time and energy, try going to this smallest national park of Malaysia which is located at the North-East of Penang Island. It is about 30 km away from the historical city of Georgetown. This park covers an area of 1,213 hectares and consists of pristine coastal-forested area with a diverse flora and fauna for you to explore. 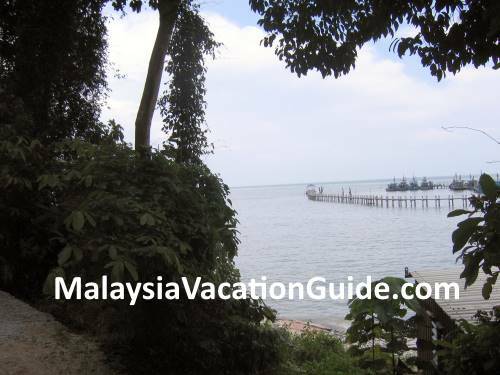 It has wetlands, mangroves, mudflats, coral reefs, turtle nesting beaches and the only meromictic lake in Peninsular Malaysia. Historically, this virgin jungle reserve was gazetted as the Pantai Acheh Forest Reserve in 1928 and managed by Penang Forestry Department. Since 10th April 2003, it has been re-gazetted as the National Park under the purview of Department of Wildlife and National Parks. The entrance to the park by walking. You can also rent a boat here to go the the beaches nearby. 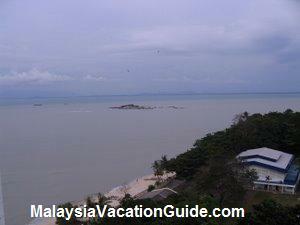 Penang National Park is also known as "Bay of Glowing Amber" due to its scenic and spectacular sunset. Avid photographers will definitely find this place an ideal location to get a shot of the sunset. As with any coastal Dipterocarp tropical forest, you will see the Seraya or Shorea Curtisii trees on the slopes around Muka Head. Over 1,000 species of plants have been recorded here from the family of Apocynaceae, Anacardiaceae, Euphorbiaceae, Dipterocarpaceae and Moraceae. Birds watcher will be glad to know that many species of bird known in the local language as Burung Kuak, Lang Merah, Lang Siput, Pucung Keladi, Punai Tanah, Punai Gading and Takor Tembaga have been spotted here. Migratory birds can also be seen here from the month of September to April. Remember to bring along your camera and accessories and give your best shot as a memento. This is the main entrance to the park at Teluk Bahang. Remember to register before embarking on your journey to explore the park. As for turtles, there are 2 species that come here for nesting. The Green Turtle or its scientific name Chelonia Mydas frequent the west part of the beaches especially on Pantai Kerachut Beach and Pantai Kampi Beach to nest from the month of April to August. The Olive-Ridley Turtle or Lepidochelys Olivacea come during the months of September to February. If you plan to see the turtles, contact the fisheries department for more information of the time and day of the sighting of the turtles. The jetty where you can take a boat to the beaches here. Another view of the sea from the hill. If you like fishing, you can do some fishing here by using hook and line. 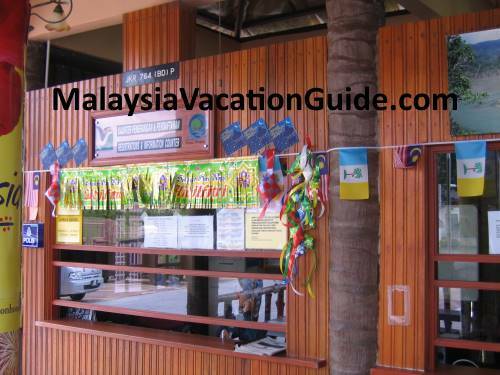 Boats can be rented at the tour operator within the compound of Penang National Park. The historical Muka Head light house was built in 1883 and is one of the key attractions that you should visit. It is about an hour hike from Monkey Beach. However, the trail to it is steep and only the fittest should consider going there. This lighthouse is about 227 metres above sea level and was built with a cost of 37,000 British Pound. It is still in operation today. Another key attraction is the Meromictic Lake which contains a mixture of fresh and sea water. This lake is located at Pantai Kerachut and is a lagoon. 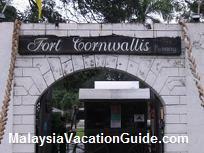 It is the only one of its kind in Peninsular Malaysia with a total area of 2.77 square km. During dry seasons, the lake is a mudflat. During high tide or raining season, the water fills the lake with the fresh water remains on the top layer of the lake and the denser sea water at the bottom. 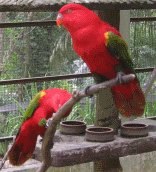 Animals such as birds, fish and other reptiles make their habitat here. 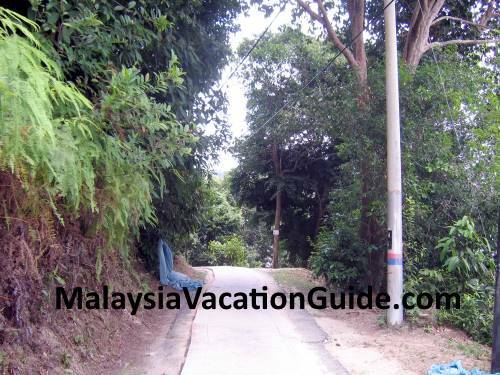 There are many jungle trails amongst which are to Pantai Kerachut, Monkey Beach (also known as Teluk Duyung or Muka Head) and Teluk Tukun. The time taken varies form 30 minutes to 2 hours. Other activities that you can do include swimming, wildlife observation, boating and camping. The park caters only for day-trippers and no accommodation facility is available here. 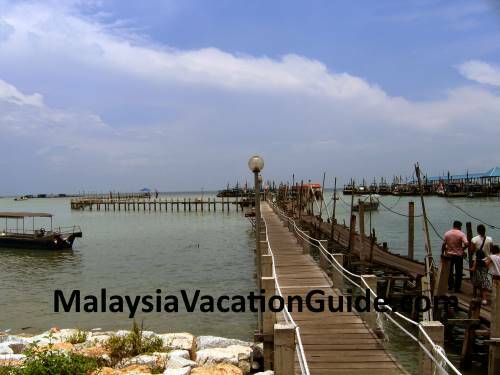 If you would like to take a round trip boat excursion to Teluk Kerachut, Monkey Beach, Mangrove Forest and Sungai Tukun, you can book a boat here. The boat is able to take a maximum of 10 people. The entire trip will take about 6 hours to complete with stops at the beaches for you to swim. The admission fee is free of charge but visitors must register at the entrance to the park for security reason. The operation hours is from 7:30am to 7:00pm daily. There are many hotels along Batu Ferringhi Beach that you can stay within the vicinity of the National Park. Some of the hotels are Golden Sand Resorts, Bayview Beach Resort and Lone Pine Hotel. Check and compare the hotel rates at Batu Ferringhi before making your bookings. There are two ways you can enter the park. 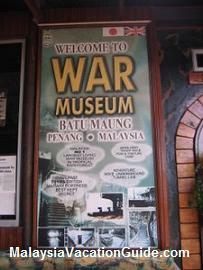 The first entrance which is also the main entrance is located at Teluk Bahang. 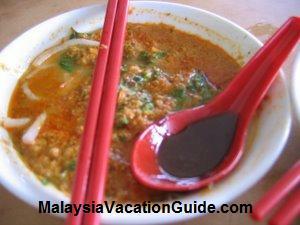 If you are coming from the city, drive towards Batu Ferringhi and along the direction of Teluk Bahang. You will see signage leading you to this park. 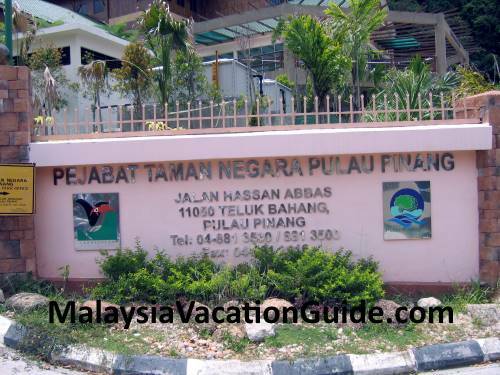 The second entrance is from Balik Pulau using the Kuala Sungai Pinang estuary. You can board tourist boats berthed here. This estuary is also an ideal place for bird watching as it consists of mangrove forest. If you are taking public transport, the Rapid Penang buses you can take are U101 and U501. The trail leading deeper into the national park. You can book your tour for various activities at the tour operator office which is located just opposite the park headquarter.